Now THIS is Texas Hill Country! 55 gated, fenced, unrestricted acres with truly jaw-dropping views of Devil’s Backbone. Asphalt drive, RV hookup, 3-car garage, pool/hot tub, 3401 sq ft custom home, 3000+ sq ft deck. Cedars have been removed from the front half of the property leaving oaks and other natives…you’ll see birds, turkey, deer, rabbit, roadrunner, seasonal springs, waterfalls, and more on this property. The 4 bed 3.5 bath home is centered on the property with lots of windows for views from practically every room. Be sure to watch the virtual drone tour. You’ll have to see this property to fully appreciate it! Please, send me more information on this property: MLS# 350115 – $1,200,000 – 1950 Estrellita Ranch Road, Canyon Lake, TX 78133. 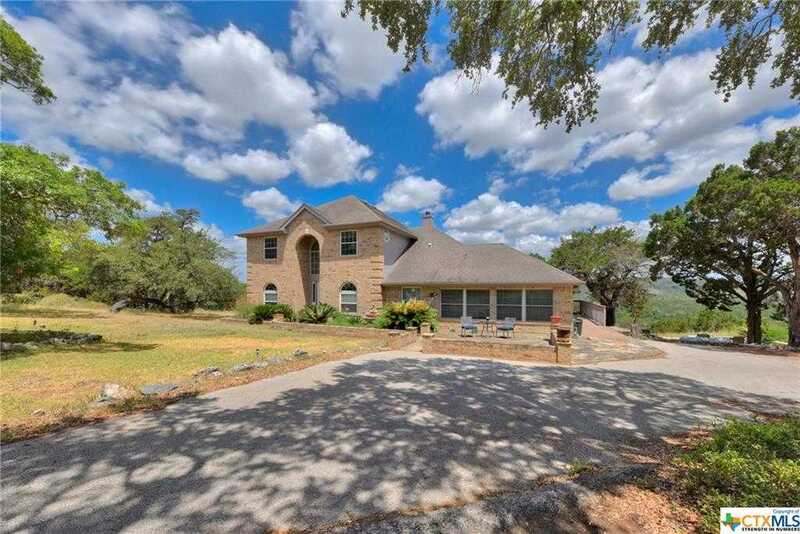 I would like to schedule a showing appointment for this property: MLS# 350115 – $1,200,000 – 1950 Estrellita Ranch Road, Canyon Lake, TX 78133.